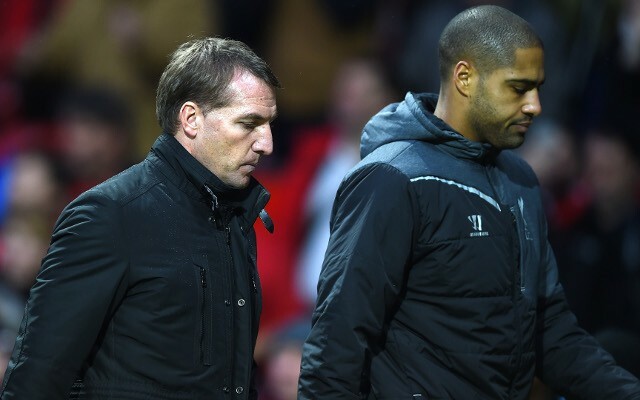 Liverpool full-back Glen Johnson has seemingly confirmed that unless he features in Sunday’s Premier League clash against Stoke City, he has already played his final game for the club. The 30-year-old is out of contract at the end of the season, and according to the Liverpool Echo, could be heading abroad, with a number of sides interested in bringing him in. Any question that we could yet make an attempt to extend his six year stay at Anfield have been put to bed after the England international took to Twitter to thank the supporters in an apparent goodbye message. Since his move from Portsmouth in 2009, he has played 160 times in the top flight and scored eight goals, a number of which have been memorable strikes. He has been a reliable member of the side during his time, and with Jon Flanagan’s injury woes continuing, there is an argument to say that we could probably hold onto him for another season. However, if we can get a suitable replacement in, then everyone – including the player – will probably agree that this was the right time for Johnson to move on.